The ramen at Hakata Gensuke on Russell St, Melbourne CBD is very reminiscent of what you’d find in a ramen restaurant in Japan. Signature & Black Tonkotsu are a few of their soup bases, but they also offer a red hot spicy soup to go with your ramen. 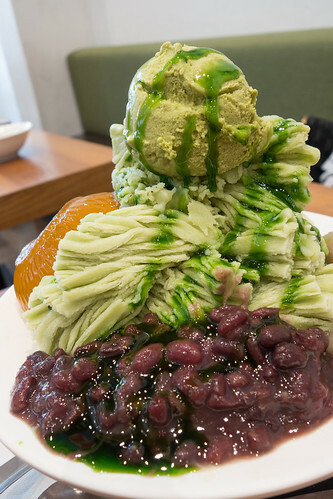 What sets Hakata Gensuke apart from other Japanese noodle restaurants, is its add-ons. Pretty much all ingredients are add-on such as the Japanese style cooked eggs, Bean Shoots, Cha-Shu, Bamboo Shoots and Seaweed. You can also select the amount of noodles and even their softness if you like noodles with a bit more bite or etc, which is a first I’ve seen appear on their order menu. 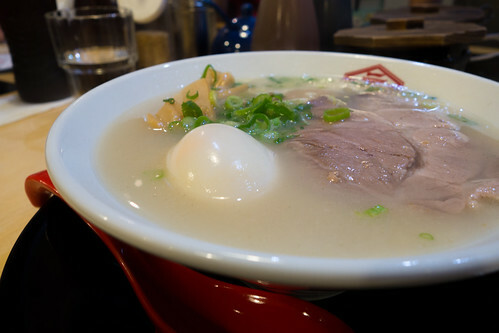 Their Signature Tonkotsu is quite pleasant, their pork soup seems creamy yet its still light. Cha-Shu and eggs are the perfect additions to the Tonkotsu, and I do feel like I’m in Tokyo. If you want the lot, a meal can set you back $20 plus, though it is very appetising. It has all the ingredients you’d want in a ramen, but just for a bit extra. You can see why Hakata Gensuke is so popular, commonly with queues at the front and it is justified. 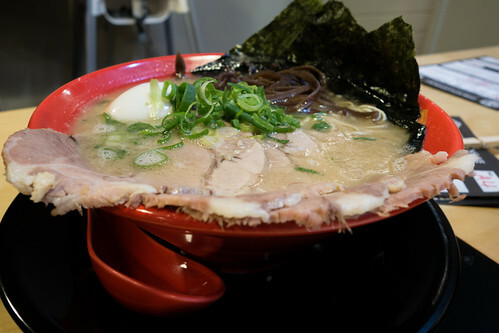 You don’t frequently find Tonkotsu on many menus, however value for money for me is still Momotaro Rahmen in Richmond.